MOSCOW, February 11. /TASS/. Russian President Vladimir Putin and his Belarusian counterpart Alexander Lukashenko will discuss key bilateral issues and the prospects for Eurasian integration at their meeting in Sochi on February 13, while on February 15, they will hold meet with ministers responsible for culture, education and sports, the Kremlin press service said in a statement. Lukashenko is expected to make a working visit to Russia. "Key bilateral issues and the prospects for boosting integration processes in Eurasia will be discussed during talks," the statement reads. 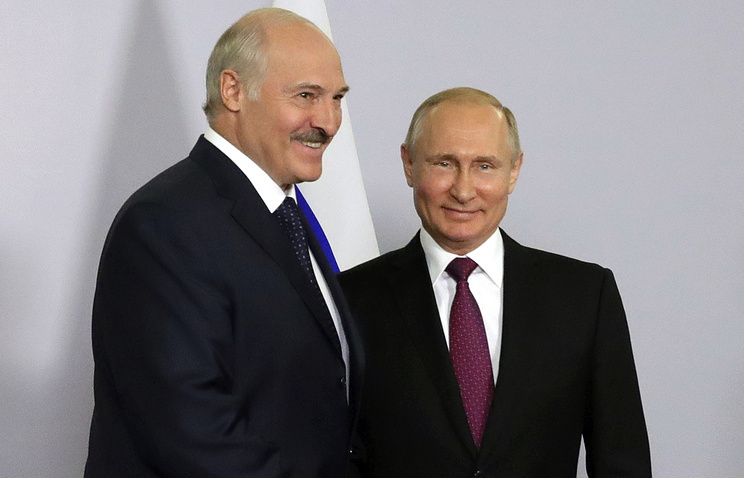 According to the Kremlin press service, "given the constructive development of Russian-Belarusian cultural and humanitarian cooperation, a meeting involving the two countries’ presidents and ministers responsible for education, culture and sports will take place on February 15." The parties are expected to discuss specific initiatives aimed at boosting cooperation in these areas.